Bossier Sheriff Detectives are looking for a thief who stole a bicycle in broad daylight from a Benton business earlier this week. On June 5 just after 11 a.m., a man pulls up in a dark-colored Ford Ranger pickup in front of Mom & Dad’s Thrift Shoppe at the corner of Kingston Road and Highway 3. A black male exits the vehicle and enters the store. While inside the store, he talks with the store clerk, but he does not make a purchase. 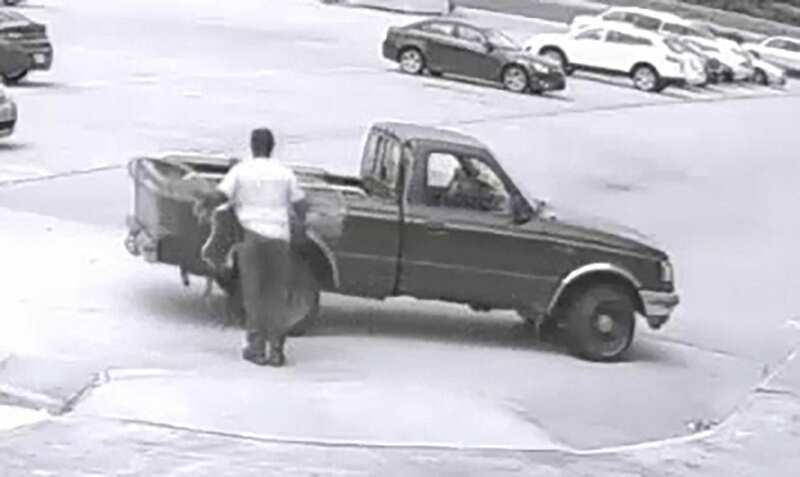 He exits the store and then pushes a bicycle which is on display in front of the store to his truck, loads the bike into the bed of the truck and drives away. If anyone has any information on the identity of this bicycle thief, please contact Bossier Crime Stoppers at (318) 424-4100 or the Bossier Sheriff’s Office at (318) 965-2203.